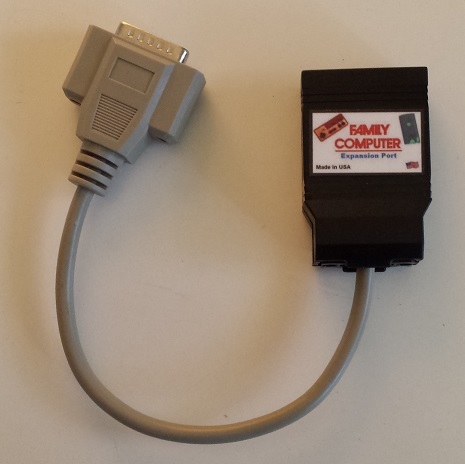 The Famicom-daptor is a USB interface for connecting Famicom Expansion Port controllers to your PC/Mac, Raspberry Pi, or game console that supports USB HID. 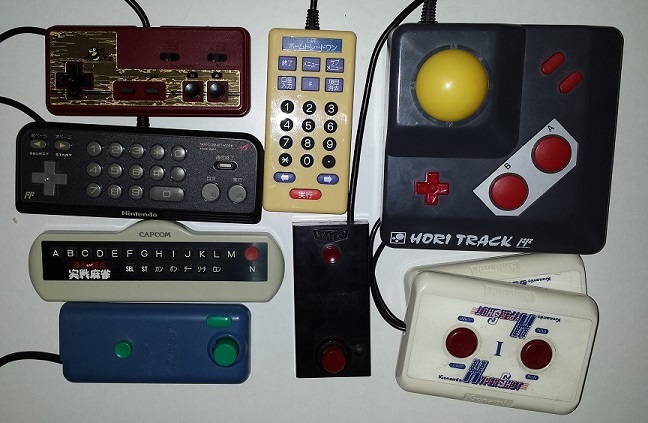 No driver is needed as the Famicom-daptor is recognized as a USB HID (Human Interface Device) joystick. 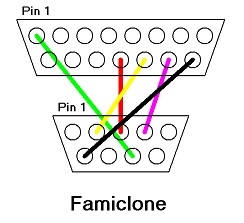 The Famicom-daptor supports 2 "joypads" just like the original Famicom Expansion Port, and will appear as 2 separate joysticks. They both show as the same name, so you will have to just try each to figure out which is 1 and which is 2. 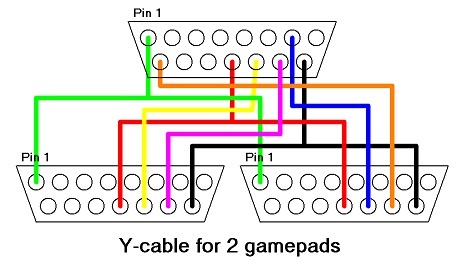 You can connect individual controllers directly to the adapter - to connect 2 controllers, you will need a Y-cable. ** Emulator support seems to be mostly limited to gamepads. 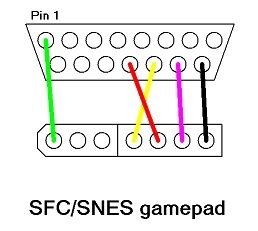 If you are wanting to use non-gamepad controllers, please check the emulator you use has input mapping for them. ** Mesen looks the most promising, with an input setting for the Famicom expansion port and many different controllers selectable, but only some of them have user input mapping. 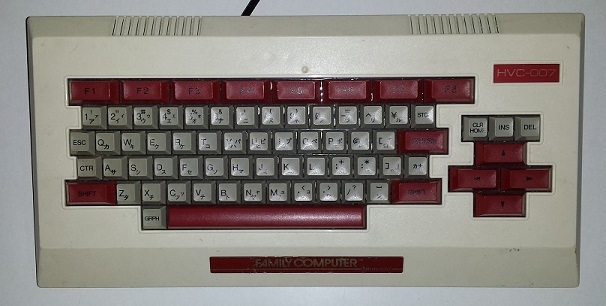 Family Basic Keyboard HVC-007 ("A" key) - key mapping follows Mesem 0.9.7 default but a couple differences: [ and ] seemed to be switched so I swapped them to match the keys, and there are separate keycodes for left and right shift so that is what I used. Cassette read/write jacks not supported. Controller selected via Auto Sense. Auto Sense runs when the USB is plugged in. Have the controller plugged in, and hold the gamepad "A" (see controller list above for exceptions/clarifications). Keep holding until the LED is flashing regularly. Will default to last controller used after 3 seconds. If you are using 2 controllers with a Y-cable, they are each set separately. 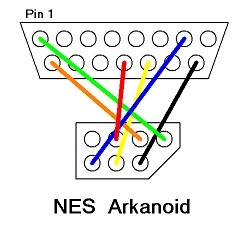 While the arcade game used a spinner, the Taito Arkanoid controllers are analog paddles, and the best way to send analog values is in an USB joystick analog axis. Unfortunately, I have not found emulator support for using an analog axis. Instead they use mouse, which while probably the best option if one does not have an adapter+real controller, can have some limitations. The adapter supports both analog and mouse. To select analog, have the knob turned full right during the Auto Sense. For mouse, have the knob turned full left. To use mouse, disable the mouse acceleration on your PC (Win10: Settings->Mouse->Additional mouse options->Pointer Options->uncheck Enhance pointer precision). You will need to use a regular PC mouse device to center the controller, and then you may find you have periodically use the PC mouse to re-adjust the position (this creeping is in the emulation, not the adapter/controller). The adapter supports 2 controllers, main II and 2nd in II port - player 1 is mouse X and mouse button 1, player 2 is mouse Y and mouse button 2. 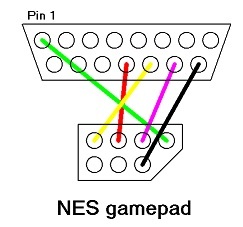 However, the emulator may only support one controller, with the two players taking turns sharing it. Latest Firmware: Famicom-daptor.hex - follow the Vision-daptor Firmware Programming Instructions.